Hello everyone. 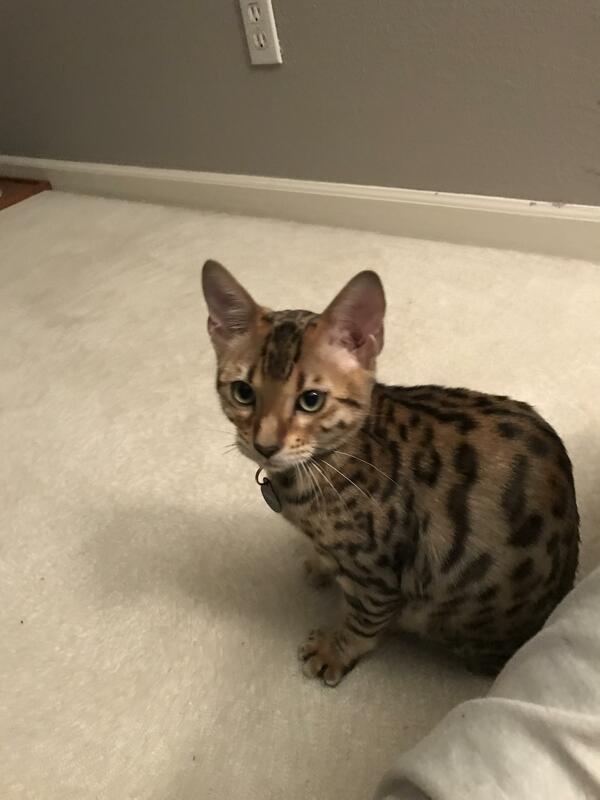 I wantes to introduce my new Bengal. 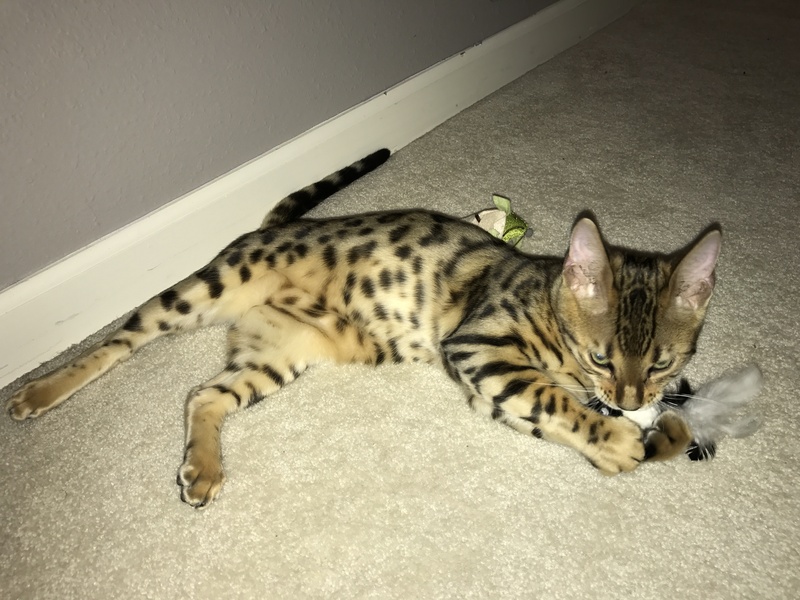 This is my first cat in a long time and I am looking forward to having him. 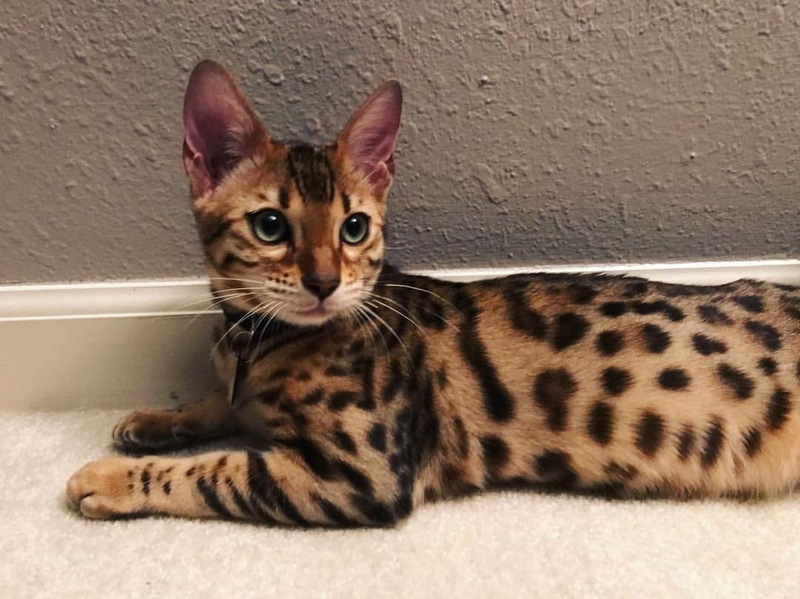 Mao is a 5 month old male Bengal. He is an explorer and loves being around people. Any tips and advice would be great! 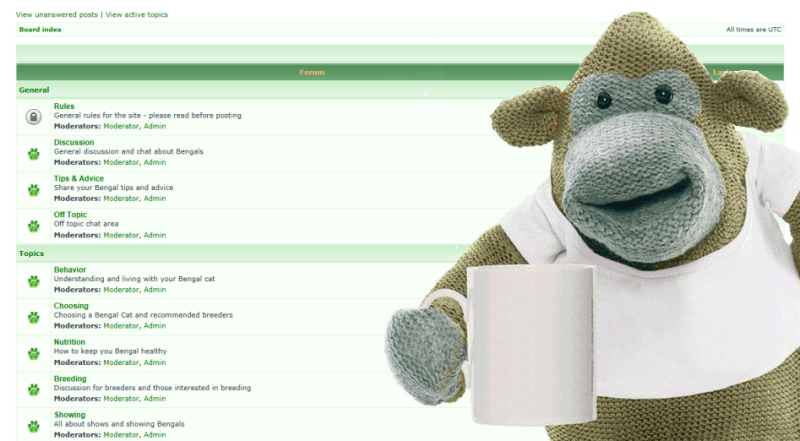 I have been reading up on this forum and I am sure I'll have questions in the future. Exactly. He is named after the way my daughter says"meow". She is 1.5 years old. Mao is such a handsome boy. Bengals are an adventure, to say the least! He is verrrry handsome! Enjoy! Lovely boy, you'll have tons of fun with him I'm sure! Maouuu (=";"=). Apt name indeed.